The museum, which always was a delight, has undergone a multi-million-dollar renovation. It is beautiful. The grounds have been kept unmowed, except for a small mowed border (see above) which leave the rest in tall grasses, wildflowers and native plants. There are so many birds, too! The museum campus is quite large and there are a variety of trails for hiking, strolling and, in the winter, snowshoeing. Connie and I will be taking advantage of the trails, as well. The Picasso exhibit was great, as was another small exhibit that featured an artist I like very much who doesn't seem to be well-known: Lawrence Alma Tadem. We had a light lunch and then sat by the largest reflecting pool and admired the view, caught up on the latest adventures of The Parents and Auntie, discussed this and that, and generally had a great time. Driving back home (a very scenic drive over mountains), I realized that it was the most at-peace I had felt in weeks, maybe months. I love my sisters. I seem to have a preponderance of purple going on in the flower beds. I will admit to being an extremely unfocused gardener. My planting 'scheme' consists of getting plants from friends and family and them plopping them into an empty (as in weed-less) spot, with no real care as to size or color. It's come back to bite me. I'm working on moving my daylilies out of the flower bed before they completely take it over - I'm going to replant them on the outside of the chicken fence. Chickens, it seems, find them delish. I did try to add some bits of color around the place, as I find it's almost as important to plant for your soul as it is for your stomach. This is the happy bit I see when I go out to feed the girls in the morning. And then. There is the Godzilla Vine. The Gray Rangers are an entirely different breed than the Frankenchickens. I expected them to be more active - of course, compared to the Cornish X, any action is more active - but they are pretty static. One precocious character is crowing already - they are 8 weeks old - and while they are fairly good-sized, they are not as fast-growing. They do not, blessedly, teem around your ankles when you appear - a trait of the CX that gave me the willies. This year I am keeping careful track of what it's costing me to raise them. So far, feeding them costs $14/week. That does not include the cost of the chicks, the replacement battery for the charger and any other costs - like the added electrical usage while brooding them. The results will decide whether I keep this up or not. It's a pain in the beehind, frankly, and it might turn out to be less costly to buy a free-range organic bird from a local source. I figure they have about two more weeks - because that is all I can stand. I leave you with a picture of the Alabama Tater Hound (aka The Yam) on his favorite perch near the fan. I have tried to leave the fleece pad off, since it is so hot, but they find it and drag it back. Museum sounds like a must-see when we visit MA in October. I can totally relate to Yarn this morning. Toni, it's a beautiful museum and Williamstown College is worth a look, too. That's a handsome Yam you got there Susan. My hats off to you on the chickens. 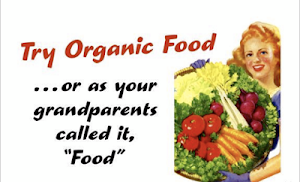 I find it MUCH easier to just buy organic i the supermarket. The motto around here has always been "Fowl and foul!". I simply am not a bird person, unless of course they are the wild variety and take care of themselves. The museum trip makes me jealous, such a beautiful place! Isn't he, though? I am thinking I might find it much easier to buy my chicken, too. I'm getting too old for this nonsense. Although I wouldn't give up living in rural America and often debate the advantages it has over urban centers, I do miss the museums. We don't get to town often enough for a membership pass but we do try to stop at least once a year for a dose of culture. Ed, I am very lucky that I am so close to a few really good museums. I wouldn't trade living in rural America for anything, either. isn't it funny how some of those tiny little plants turn into monsters? Geez, yes. Had I known, I would have planted that vinelet a lot further from the house. I have tried cutting it off at the roots, digging it up, but nothing holds it back for long. I hope you and your sisters find more ways to spend time together! Me, too. My youngest is a teacher, so she has the summer off. We're hoping she spends some if it with us. That is interesting about the chickens. I too, get creeped out by those x variety. That is so funny the dogs drag that fleece back, ha ha! The museum sounds delightful. Kristina, I like this breed of chicken much better - they are more quiet (although there is one rooster who is gargling away morning, noon and night). We'll see how they are eating-wise. ok. The Yam is gorgeous (notice i used capitals for extra attention?). Gurl - you "pretty" garden just like me - get something pretty and just find a place to shove it until you can actually "pretty garden". but this is my year, i swear! i am doing some "pretty gardening" for our souls. the only prob is we have so many beautiful wildflowers that i love to look at - so i haven't really needed bluebells (faery cups) in a little pot! but i swear i am planting faery cups and re-doing my faery doors and faery "salvation army's" in the next week! kymber, how wonderful to be surrounded by wildflowers! I love my bees and butterflies and little birds - so I try to grow a variety of things that will keep them all happy and visiting. I have been following your blog for some time now so imagine my surprise to see familiar scenes today. I live in Williamstown and am a docent at the Clark, most weeks I am there four or five times. I wasn't there on last Saturday but would love to meet you sometime when you visit. I can give you a personal gallery talk if you wish. I have been following your blog for some time now so imagine my surprise to see very familiar scenes today. I live in Williamstown and am a docent at the Clark, some weeks there four or five times. I wasn't there on Saturday when you visited but would love to meet you next time you come. I could even give you a gallery talk if you wanted. Peter, that would be wonderful! My sister and I will be back often. I envy your workplace. Feel free to contact me through the blog. Getting together with sister(s) and enjoying time away from your house even if it's just for a couple of hours is so rejuvenating. Just found your blog from John's. Your avatar brought me over especially your blog name. Love the chickens they are beautiful. I just realized that you were the creator of the Fabulous Fennel! Such talent! I am working my nerve up to enter a vege. Acting my age. That would be my imagined age.